More than 140 new members from around the state attended. “It was useful to gain knowledge from experienced teachers with a variety of strategies and experiences applicable to the classroom,” one member said in their course evaluation. “The explanations from each of the speakers were very thorough, engaging and extremely helpful,” another course participant said. Completing the Primary Conference — Your First Years of Teaching earned members five hours of NESA Registered professional development addressing: 6.2.2 from the Australian Professional Standards for Teachers towards maintaining Proficient Teacher Accreditation in NSW. The conference was presented by three experienced K-6 teachers, who also present other CPL courses. 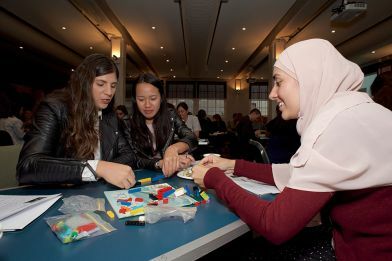 Effective Programming Using the English K-6 Syllabus Blacktown on 26 August. For more information about courses run by the Centre for Professional Learning visit cpl.asn.au.